Top Ten Tuesday is hosted by The Broke and the Bookish. Its basically a list of top tens and this week is the top ten ‘old’ books that we don’t want people to forget about! Summarys from Goodreads. 1. 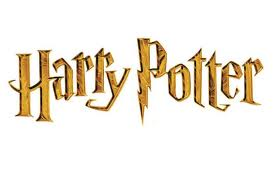 The Harry Potter Series by J.K Rowling – My grandma said something really interesting to me the other day about Harry Potter. She said that although Rowling had being criticised a lot in the literary world, for using too many adjectives or using simplistic themes like love and death, she was the inspiration, the motivation for an entire generation of children to read, and this should be celebrated. 2. 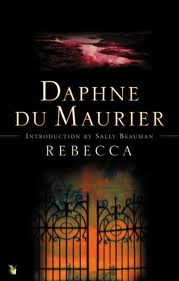 Rebecca by Daphne Du Maurier – I don’t know why I love this book so much, and it is normally not a book I would go for, but it is such a classic and the plot and writing is mesmerising. 3. 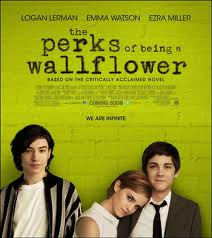 The Perks of Being a Wallflower by Stephen Chbosky – although I don’t think this book will be forgotten (the movie is coming out soon!) I really really hope that the people that go and see the movie read the book, because its such a great book. ‘Standing on the fringes of life… offers a unique perspective. But there comes a time to see what it looks like from the dance floor. 4. 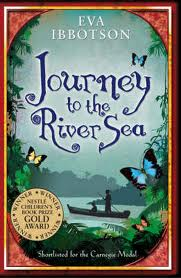 Journey to the River Sea by Eva Ibbotson – I used to pour over this book constantly when I was younger, looking for clues on how to write well, and I have to say and I have read and re-read this book so many times and I never get tired of it. R.I.P Eva Ibbotson – what a talented writer. 5. 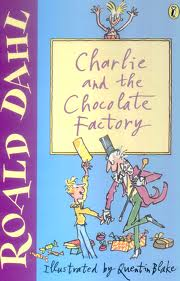 Charlie and the Chocolate Factory by Roal Dahl – Another one of my childhood favourites and a classic, but I was a bit upset to hear that my 12 year old sister had no idea about the book! 6. 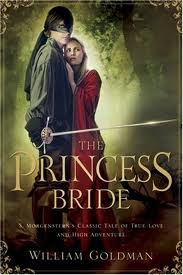 The Princess Bride by William Goldman – I read this book earlier this year and absolutely loved it! I have yet to watch the film, but I need too! ‘What happens when the most beautiful girl in the world marries the handsomest prince of all time and he turns out to be…well…a lot less than the man of her dreams? 7. 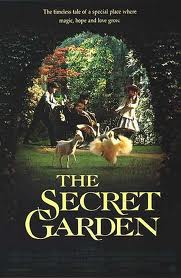 The Secret Garden by Frances Hodgson Burnett – Another classic novel that I loved as a kid! ‘A ten-year-old orphan comes to live in a lonely house on the Yorkshire moors where she discovers an invalid cousin and the mysteries of a locked garden. 8. 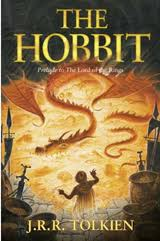 The Hobbit by J.R.R Tolkien – This was one of the first books I read, and although its still tremendously popular – with the movie coming out in December, I hope people still read the book, because it is amazing! ‘In a hole in the ground there lived a hobbit. Not a nasty, dirty, wet hole, filled with the ends of worms and an oozy smell, nor yet a dry, bare, sandy hole with nothing in it to sit down on or to eat: it was a hobbit-hole, and that means comfort. 9. 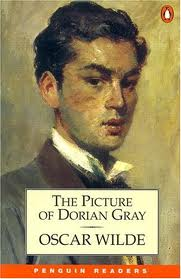 The Picture of Dorian Gray by Oscar Wilde – Such an interesting concept for a book, and so relevant in todays image and youth obsessed society! 10. ALL the Peter Rabbit Books by Beatrix Potter – Such great stories for children – I am very excited about the Emma Thompson written adventures. I hope you’ve enjoyed my top ten post for today! Happy Reading. Next Post The Girl Who Fell Beneath Fairyland and Led The Revels There by Catherynne M. Valente Review. I’ve been meaing to read Rebecca, The Secret Garden, and The Princess Bride FOREVER. My TBR list is so out of control. I totally agree with you grandma about Harry Potter though — that motivation was and is hugely important. I read plenty of books that aren’t “literary,” but books are important not matter what the type — as long as people are reading that’s a good thing! It opens a door to all kinds of possibilities. Love, love, love Rebecca. Have you ever read Jamaica Inn? I found it much less satisfying. I love The Princess Bride and the movie is pretty great, I would definitely recommend it. Even my little boy loves it, although some of the humor is over his head. Great picks! I’ve read most of the ones on your list, and I agree that they’re not to be forgotten. Thanks for sharing! You have several of my favorites on your list. Well done. 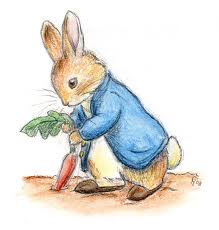 Aww, Peter Rabbit! I did a lesson on Peter Rabbit with my second grade students in library a couple of weeks ago. And I enjoyed The Princess Bride! Definitely find time to watch the film. It’s one of my favorites!